I’ve recently been experimenting to see if I could somehow use of my old Iomega Zip drives (a 250MB USB version, and a 100MB SCSI) to move files between my Windows PC and my various 68k Macintosh Systems. After a bit of experimentation I discovered how I could not only move files, but also create a disk image that would allow me to use my Windows PC to make fully bootable Zip disks for use with any of the SCSI capable 68k Macintosh systems. So, similar to my entry on setting up using a floppy disk, I created boot images for System 6.0.8 and System 7.5.5. Your classic 68k Macintosh turns on, and is prompting you to insert a disk. If your 68k Macintosh does not turn on, or does not show the insert disk icon, you may need to do some repair work before you proceed. Your classic 68k Macintosh supports and is connected to an external or an internal Iomega Zip drive. You have a working SCSI 100MB Iomega Zip drive attached to your 68k Macintosh System, set with a valid SCSI ID and with the terminator enabled if it is at the end of the chain. You have a working USB 100MB or 250MB Iomega Zip drive to connect to your Windows, OS X or Linux System using USB, SCSI or IDE. 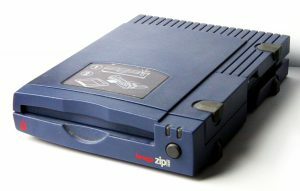 This method will only work for 68k Macintosh computers that have an internal Iomega Zip drive, or have a SCSI or PCMCIA connector for an external Iomega Zip drive. Otherwise, you will need to use one of the other setup methods I’ve previously identified. If you are planning to use an IDE or SCSI Zip Drive with your modern Windows, OS X or Linux System, this method will not work. You should be able to mount these drives directly in Basilisk II and create bootable Zip Disks that way…. I’ve done this before with the SCSI zip drive, and if my PCI SCSI card still works I will document the process. You can use one of mine, or create your own (I’ve created another blog entry to explain what drive images are, how to create them and with a summary table of all the drive images I’ve created). First determine which operating system you can, or want to run on your classic Macintosh. A 100MB OS 6.0.8 Bootable image (zipped, 5MB) for older 68k systems that may only have 1MB of memory installed. The SE/30, Classic, Classic II, Portable, II, IIx, IIcx, IIci, IIsi, LC typically shipped with only 1 MB of memory. I’ve managed to track down a scan of the Apple Memory Guide from November 2000 (pdf) that shows how to upgrade the memory for these and other 68k systems. A 100MB OS 7.5.5 Bootable image (zipped, 5MB) for the remaining 68k systems that have 2MB or more memory installed. I’ve created a separate blog entry for how I write the images back to physical drives and how to create your own images if you do not want to use one of mine. Setting Up your 68k Macintosh Booting, Iomega Zip Drive, Linux, OS X, Windows. permalink. great site, very useful, complete approach and instructions are very clear – really nice. I am trying to install LC III via a SCSI-ZipDrive (250Mb) with a 100Mb-ZipDisk but only get “No disk” found. This “No Disk found” error was also blocking the installation of the Iomega Tools 4.2.2 – the installer does not even start for this reason. SCSI-Probe does list the drive correctly. Only having a FloppyDrive otherwise, I have not much possibilities to vary drivers and and systems. Do you have any idea why this happens? Is the drive broken? Odd. I’m assuming you have a Hard Drive in your LC III? I found I didn’t need to have iomega tools installed, just the iomega extension, which I thought was on the disk image, if it isn’t I’ll added it and post here once I’ve updated the image. thanks for your answer. Where can I find this “extension”. Just to check whether this could help me out. I’ve added the extension to the image file. firstly thank you so much for putting together such a comprehensive guide! I am stuck on the 4th step, and I cannot get my macintosh to boot via the scsi zip drive. I have downloaded your 100MB OS 6.0.8 System image, and have used the dd command to fully write it to one of my zip disks. However when I attempt to boot up my macintosh plus using zip plus (supports parallel and scsi) the mac immediatly boots to the floppy disk screen. Any chance that you can possibly try and help me find where I went wrong? Hi Tommy, I’ll take a look at the image this weekend to see what’s going on. Unfortunately I no longer have a Plus and last tested the image on an SE.